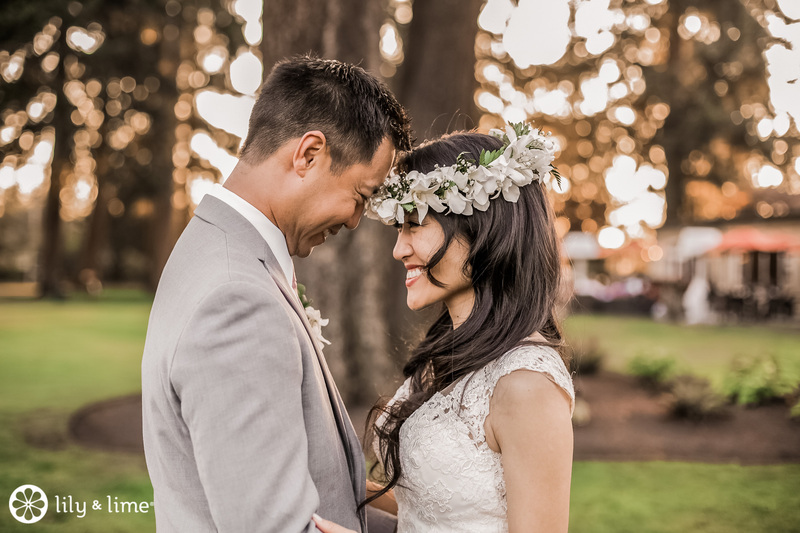 We love it when we get to capture a couple’s look of love and admiration for each other. 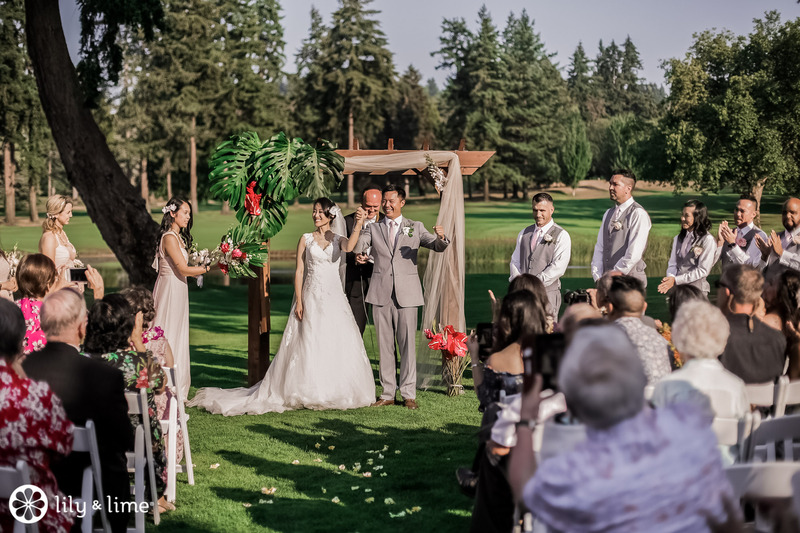 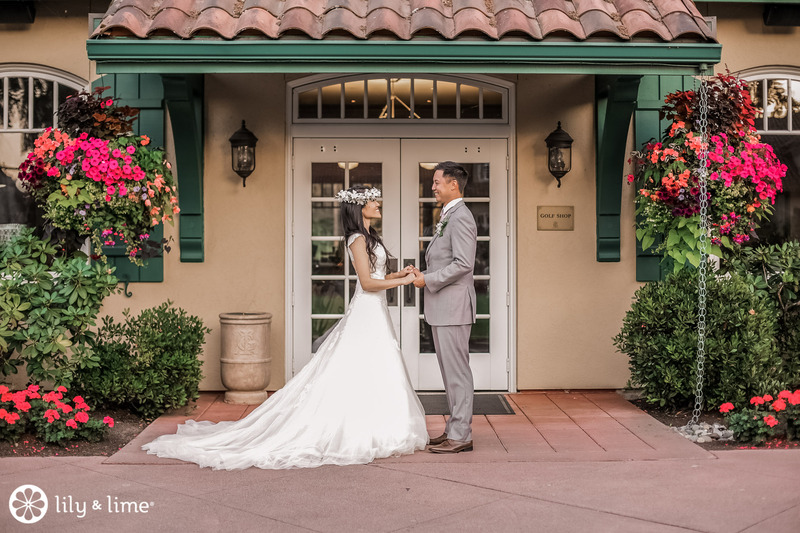 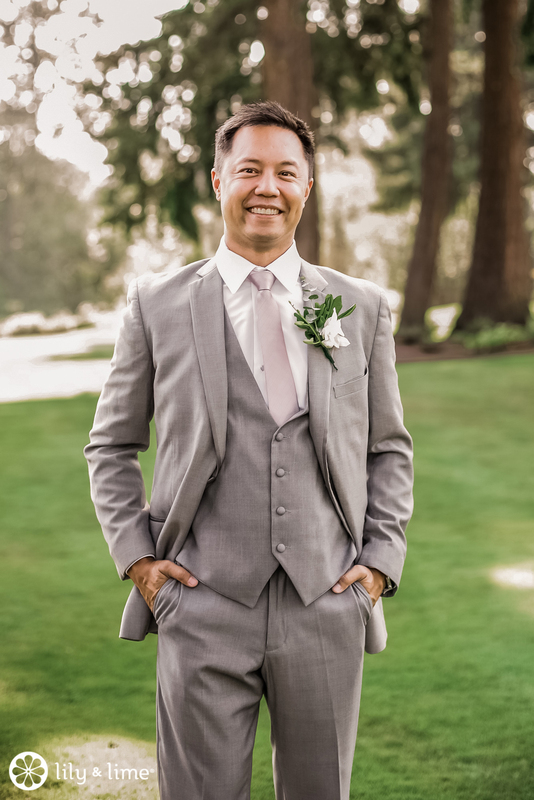 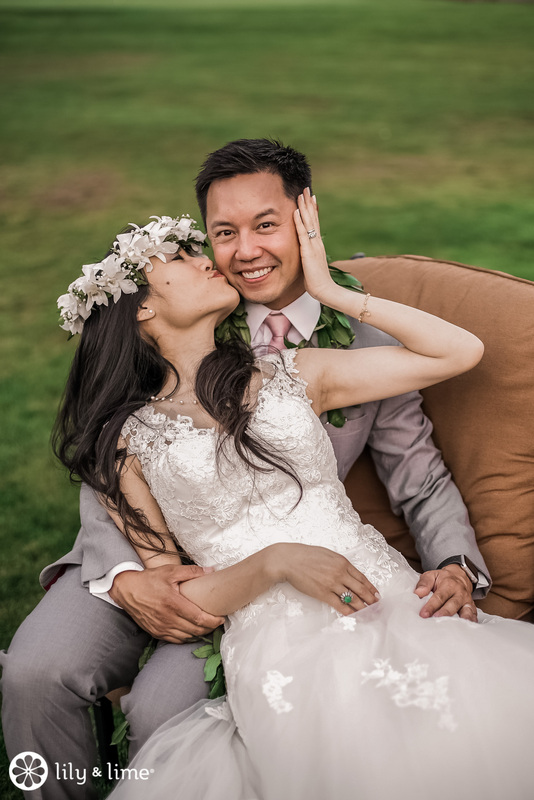 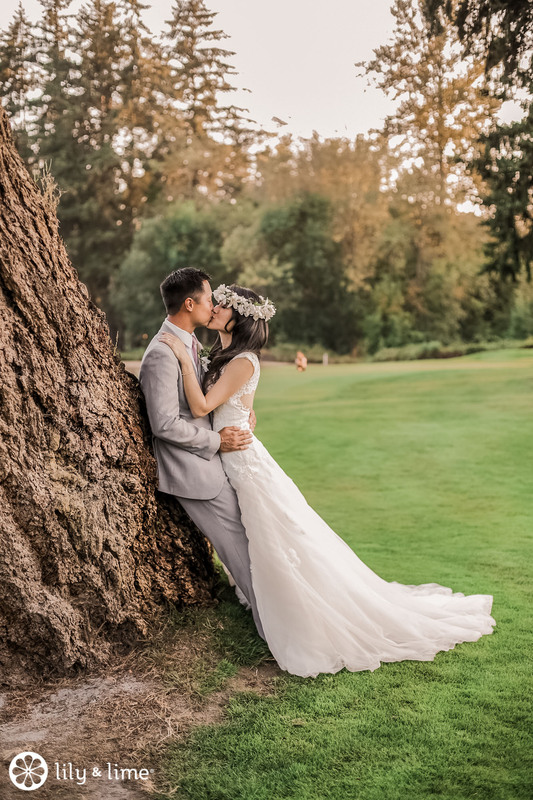 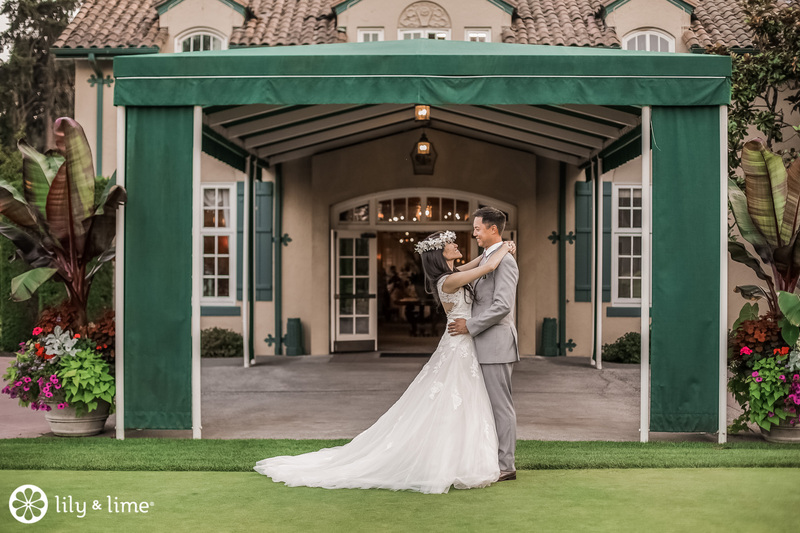 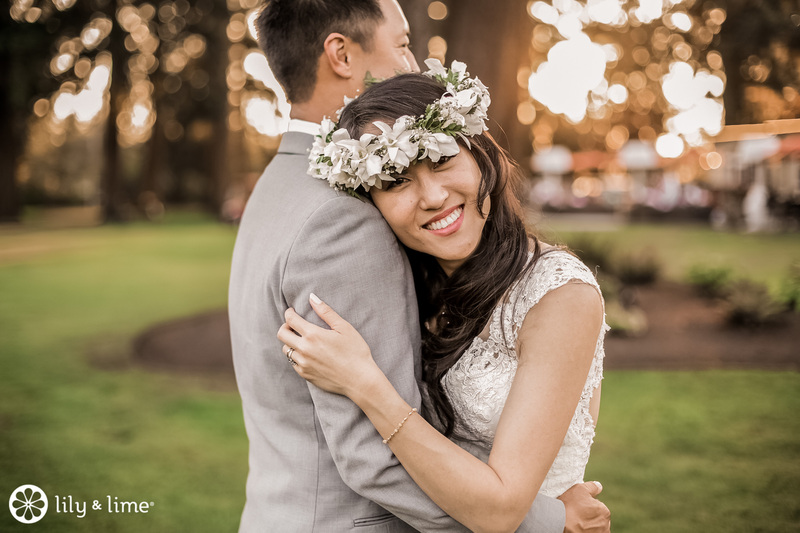 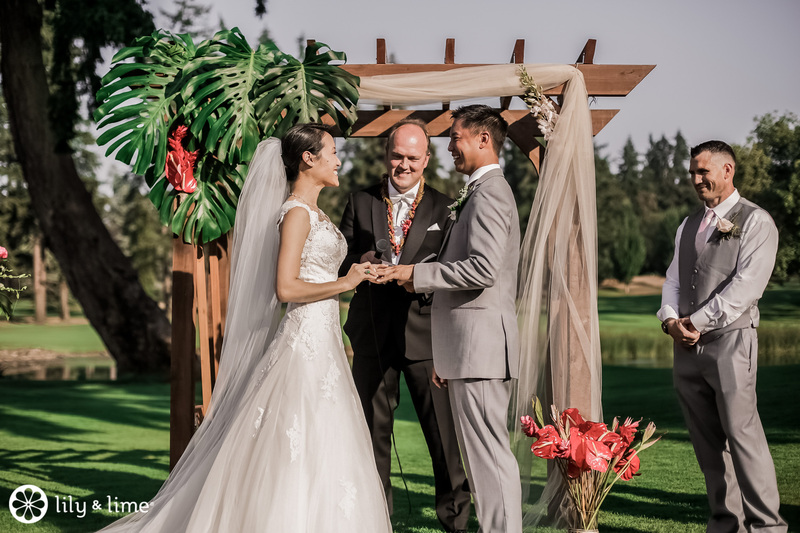 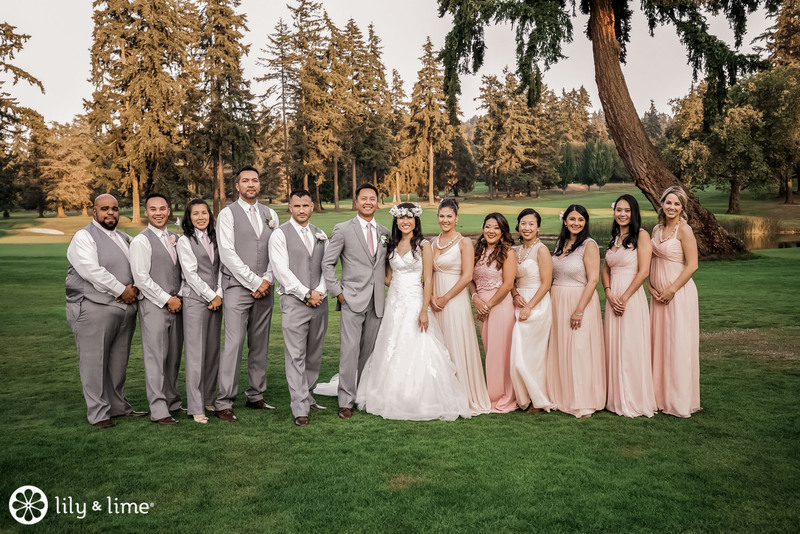 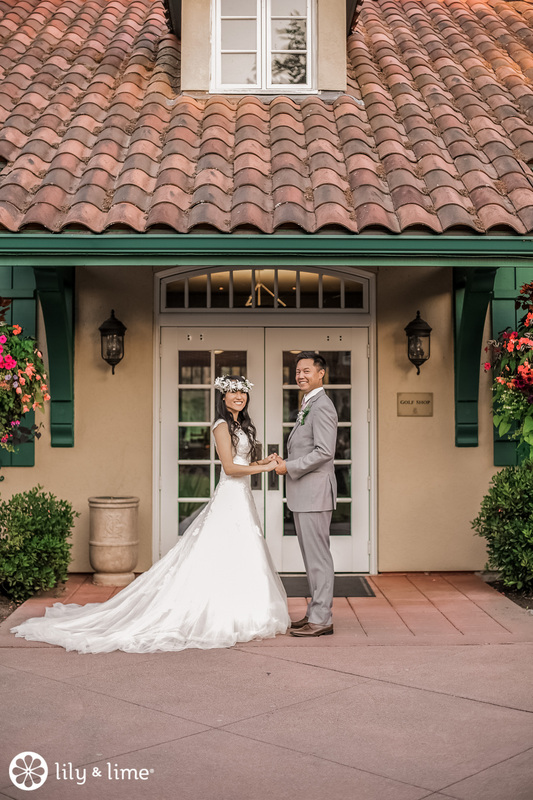 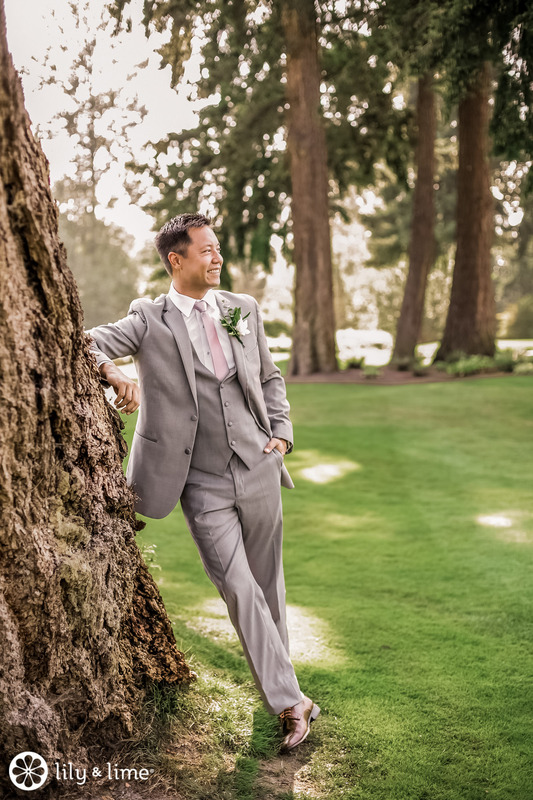 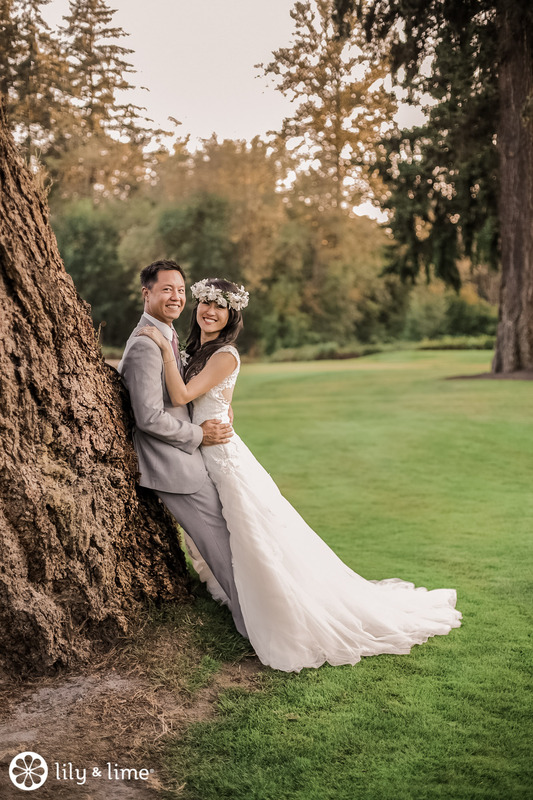 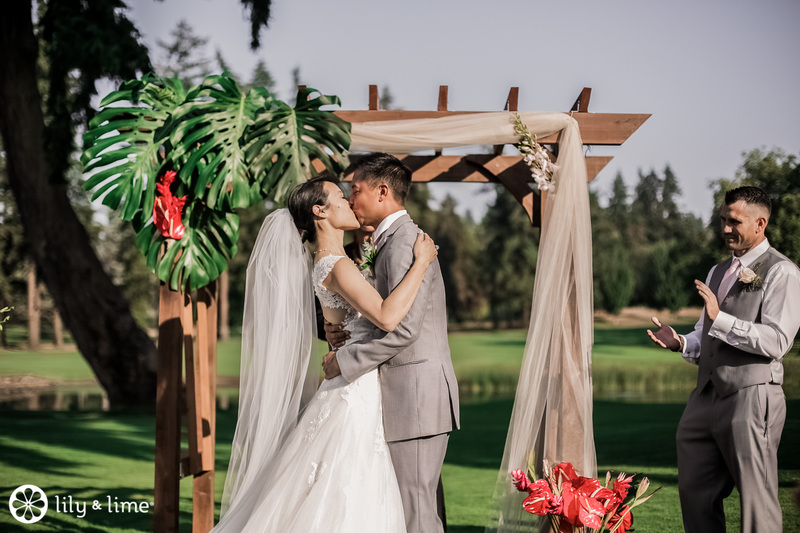 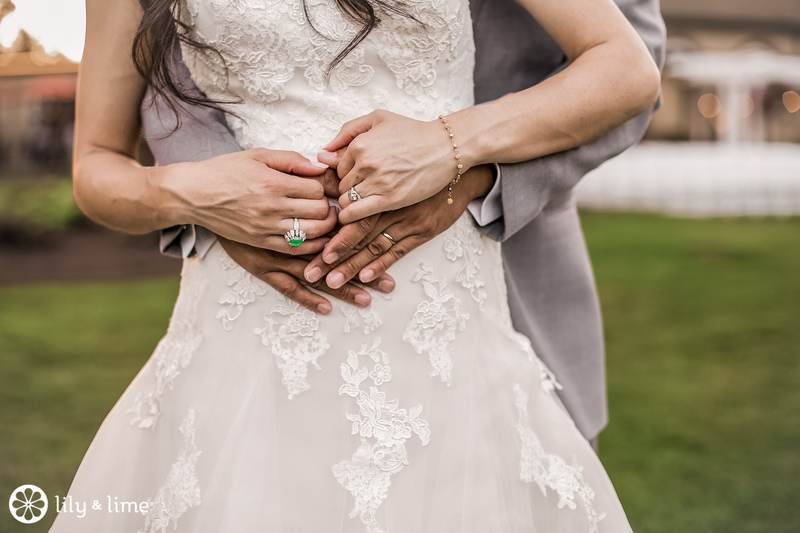 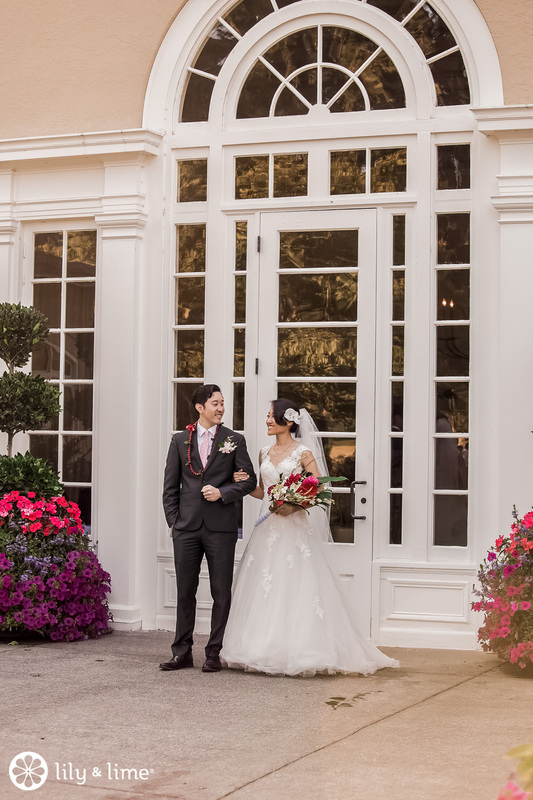 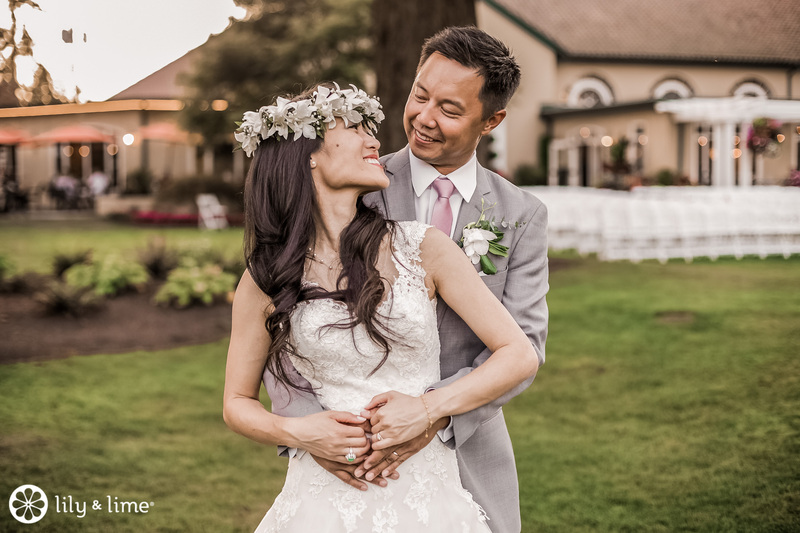 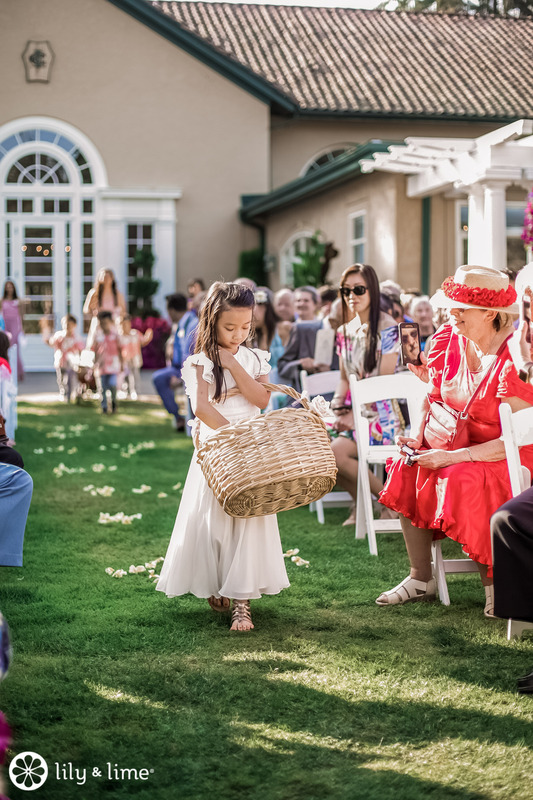 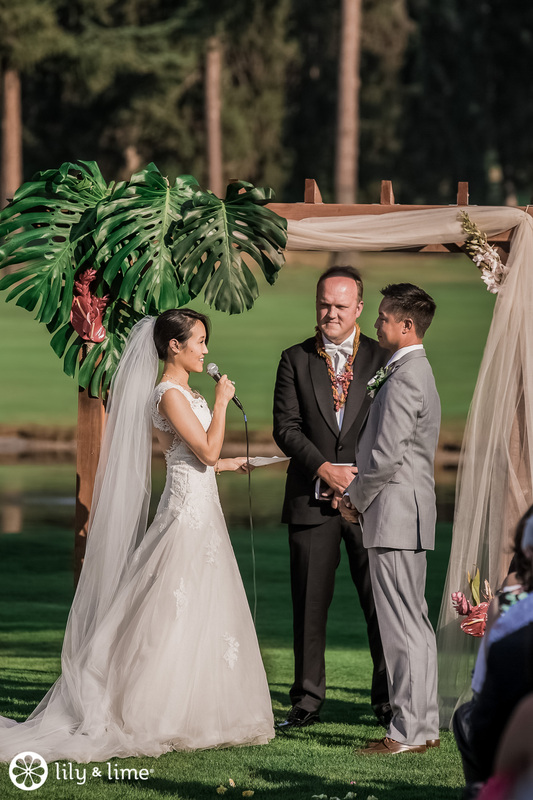 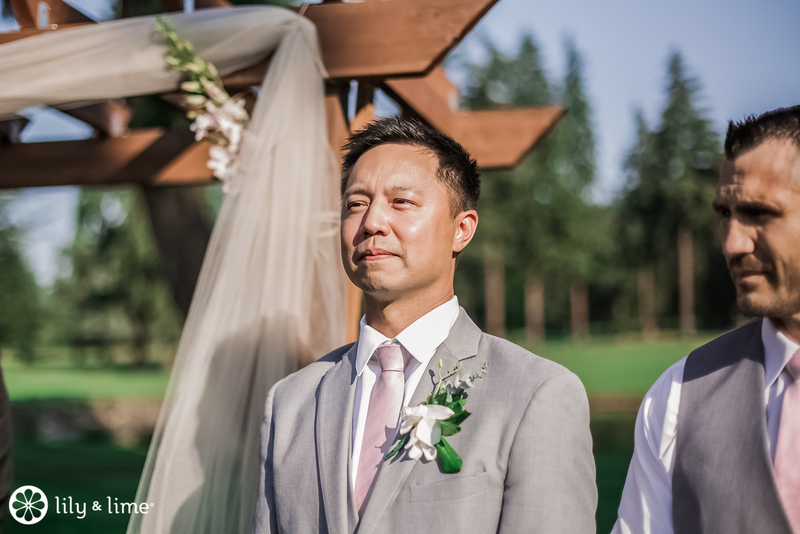 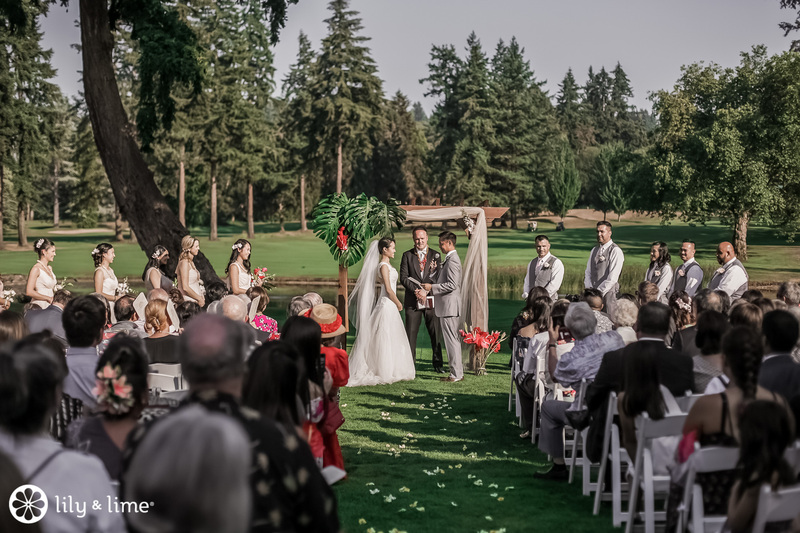 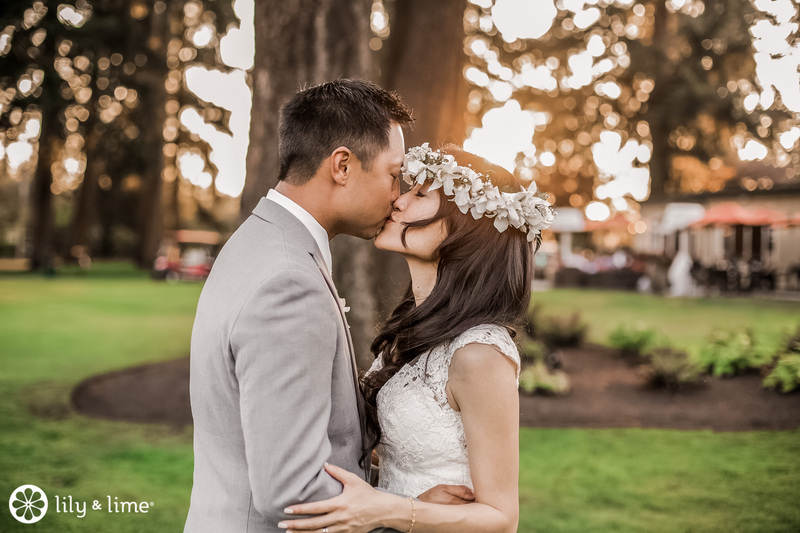 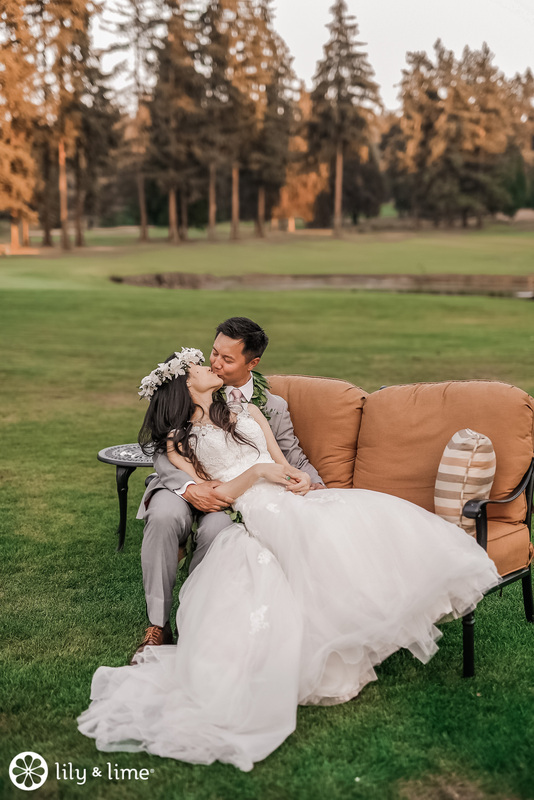 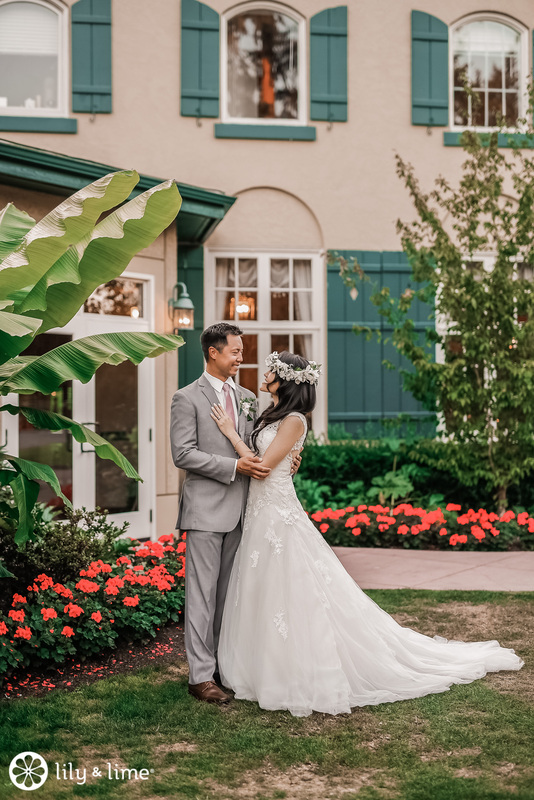 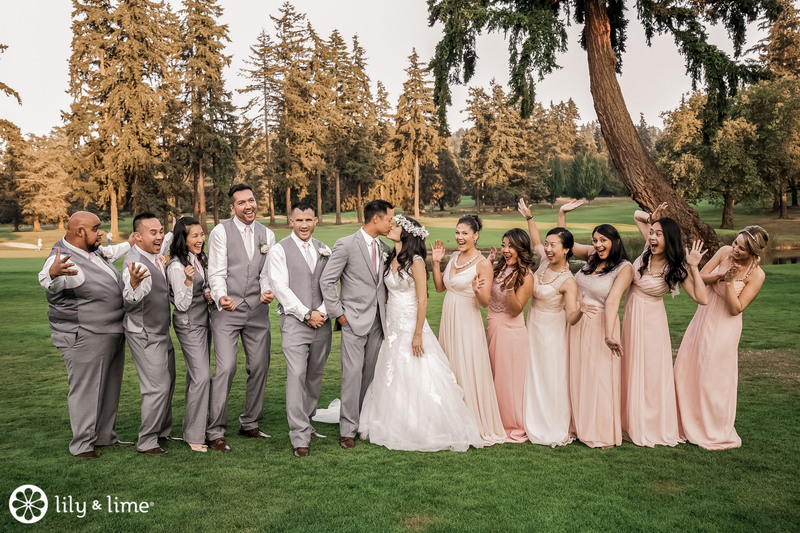 Jacqueline and David prove that a fairy tale wedding is not an impossible dream as they chose the Inglewood Golf Club in Seattle to host their perfect outdoorsy wedding. 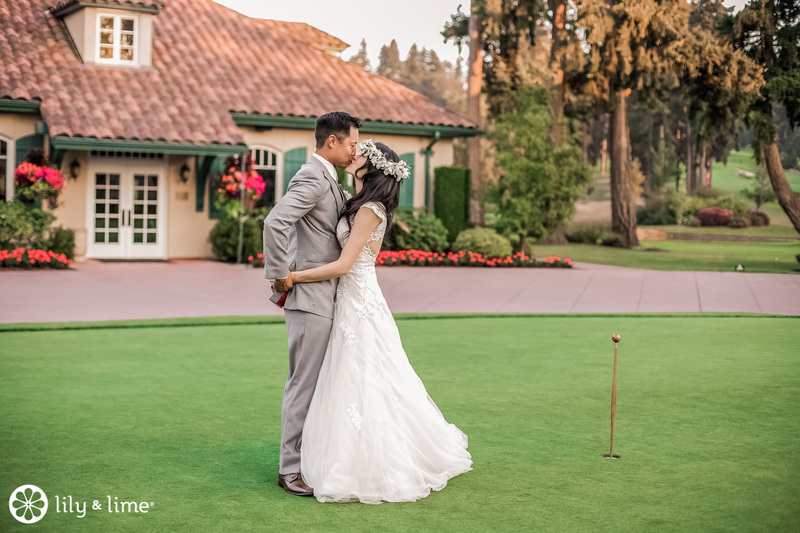 The club’s lush, manicured gardens provided a dreamy, picturesque scenery and created a stunning effect altogether. 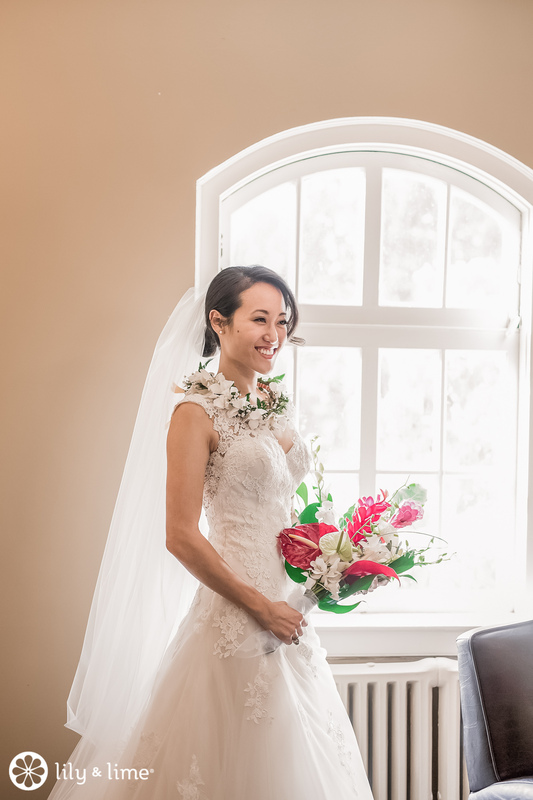 The bride chose an ensemble comprising of an exquisite lace and organza gown that was paired with a floating cathedral veil. 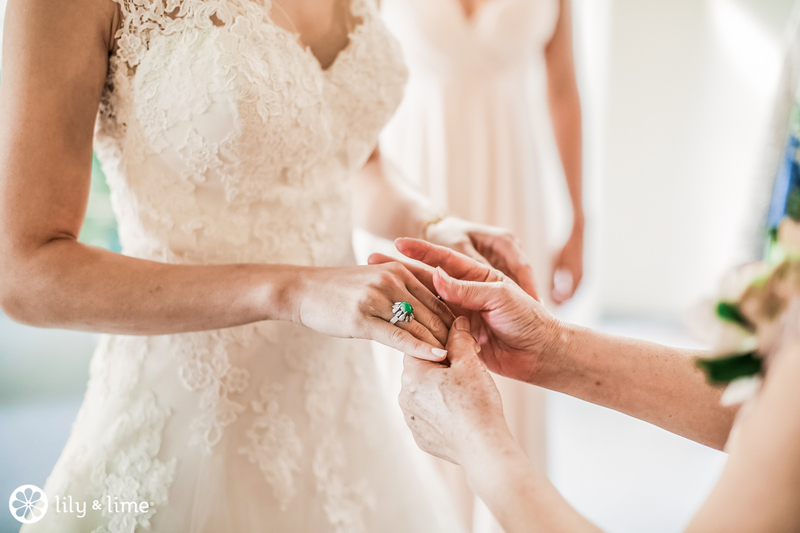 And her classic jade ring completed her stunning look. 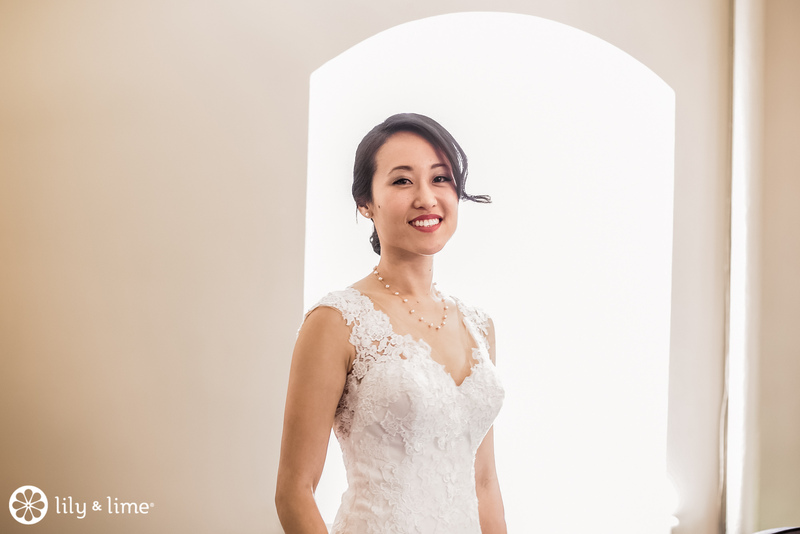 The dazzling ring also made a striking contrast with the pearl white shade of the gown. 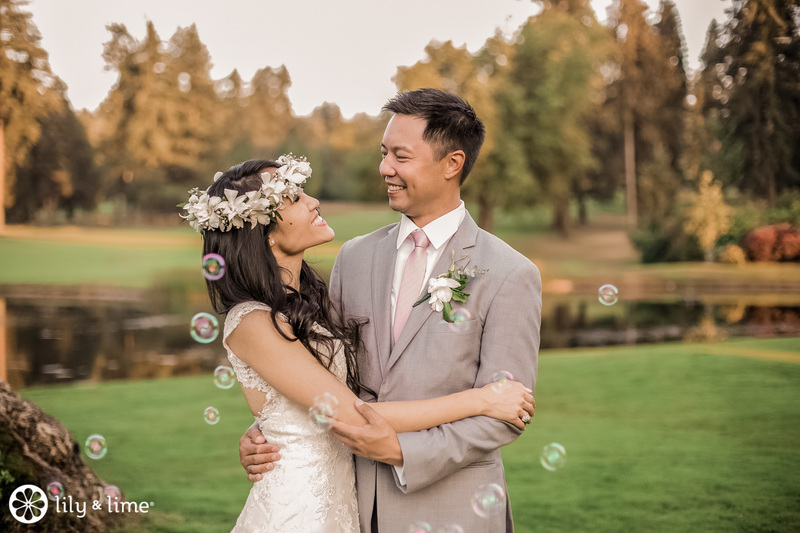 We love that the couple chose muted and soft colors to incorporate their look. 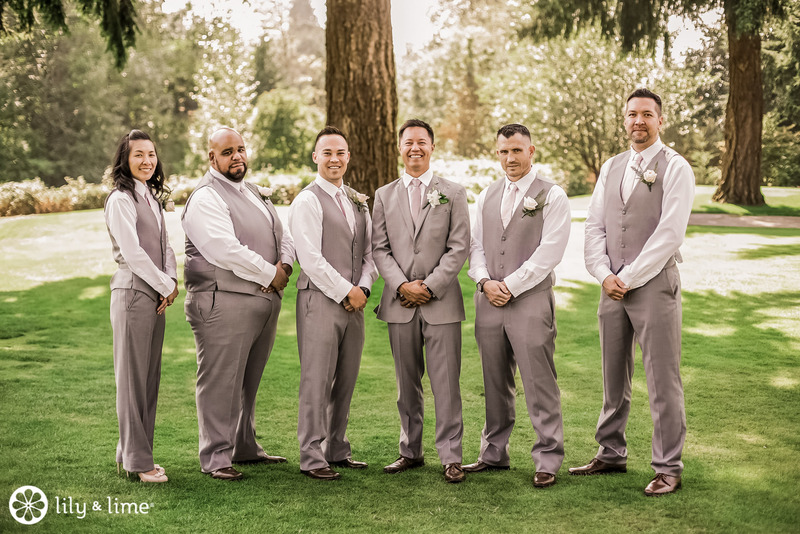 The groom looked dashing in his steel grey three-piece number and was thronged by groomsmen dressed in equally muted shades of grey. 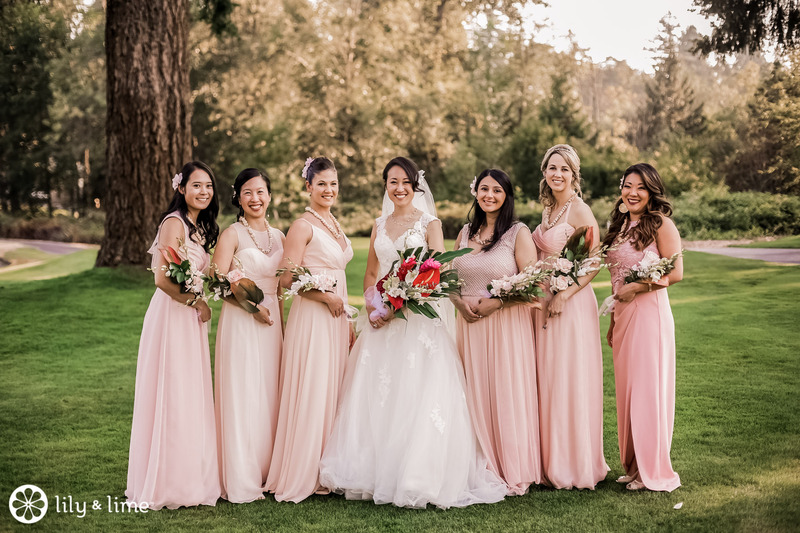 We love that the mismatched bridesmaid’s dresses are still in vogue as their looks complemented the effect of the chic and elegant wedding. 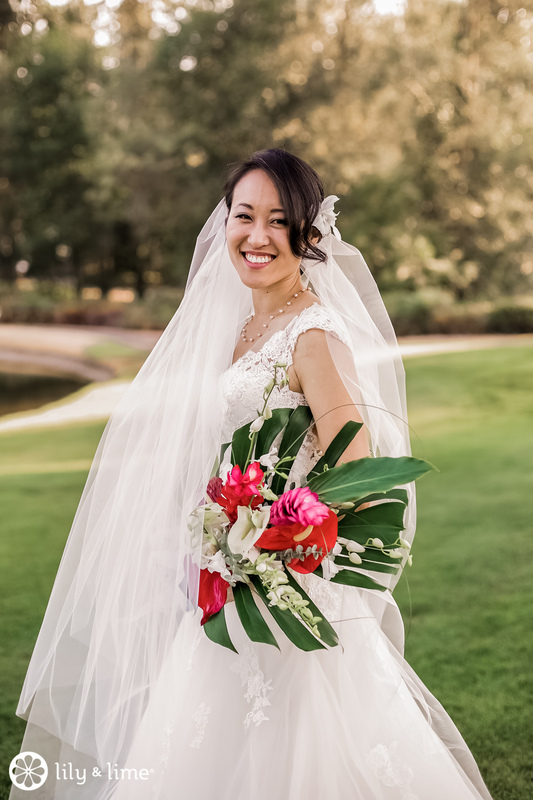 We absolutely adore the tropical flower bouquet carried by the bride. 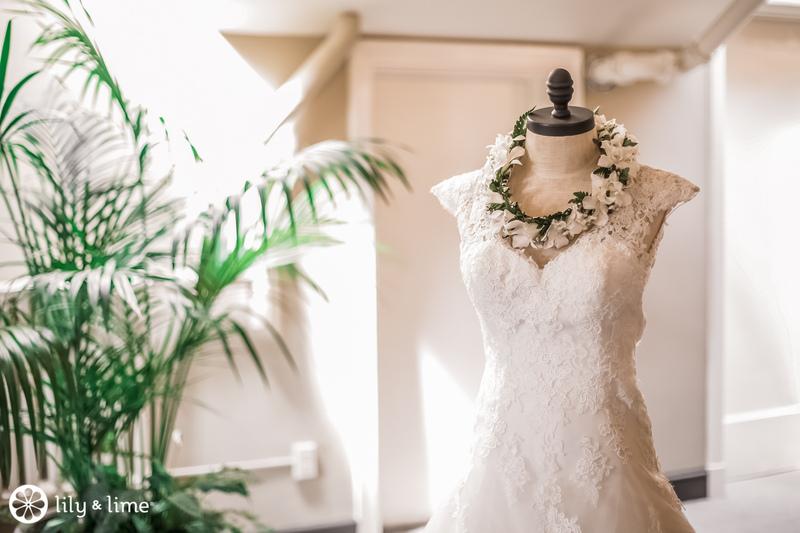 It stood out against the softer hues of the wedding party and complemented the jade ring piece impeccably. 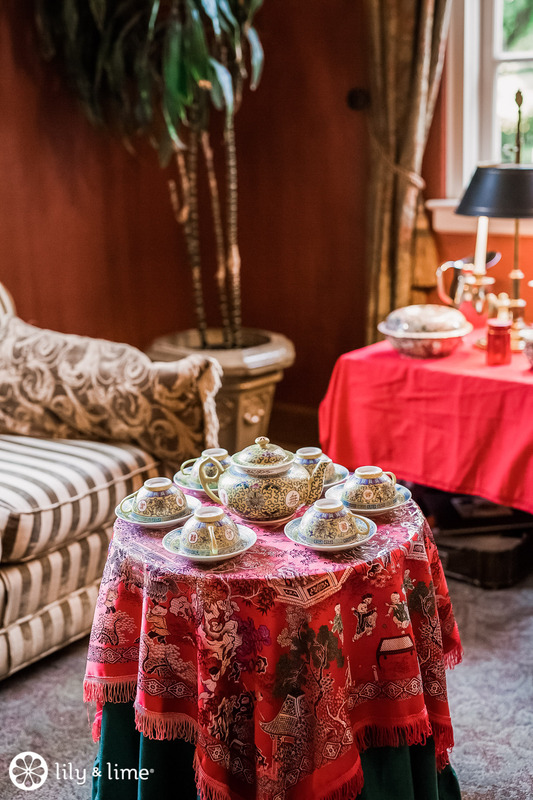 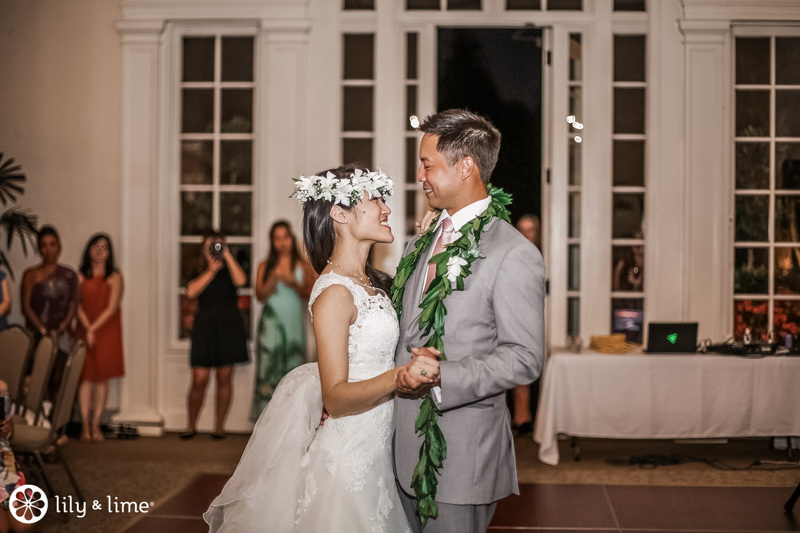 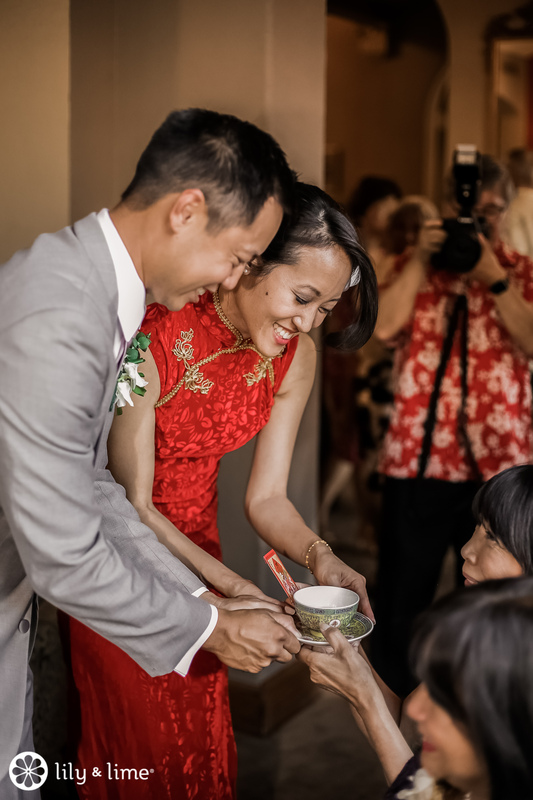 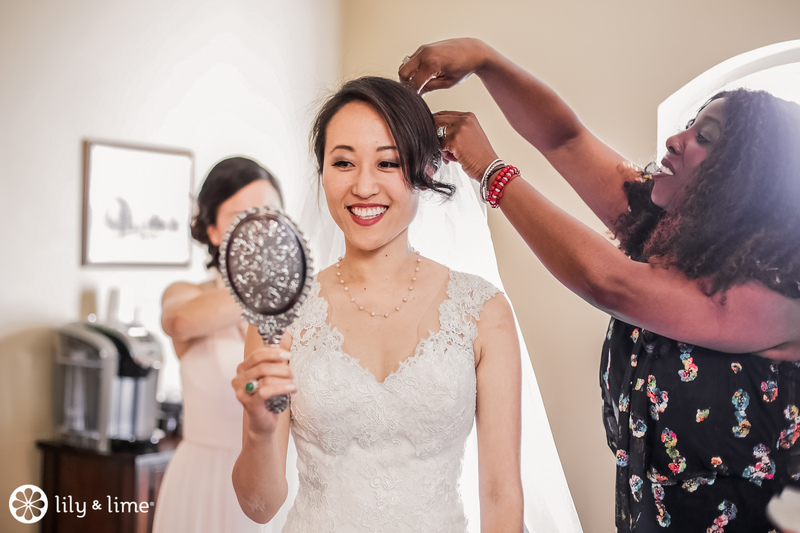 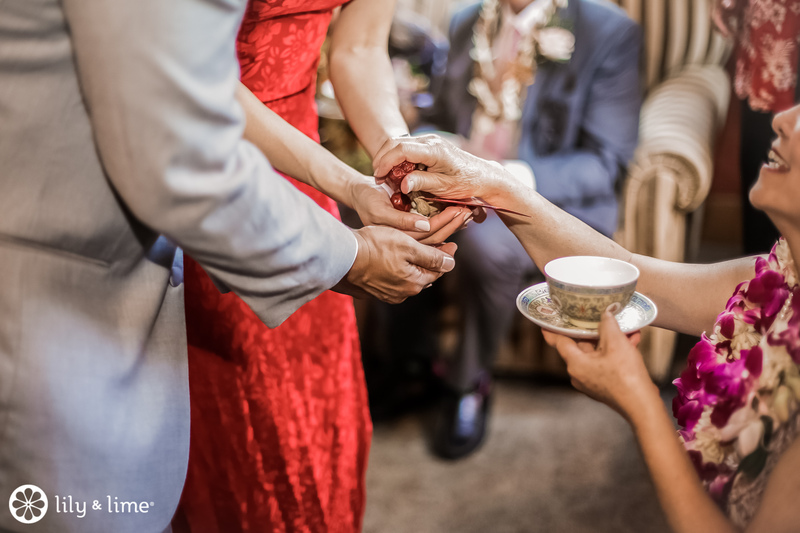 For their traditional tea ceremony, the bride wore a classic red qipao dress to incorporate modern and traditional elements into their union. 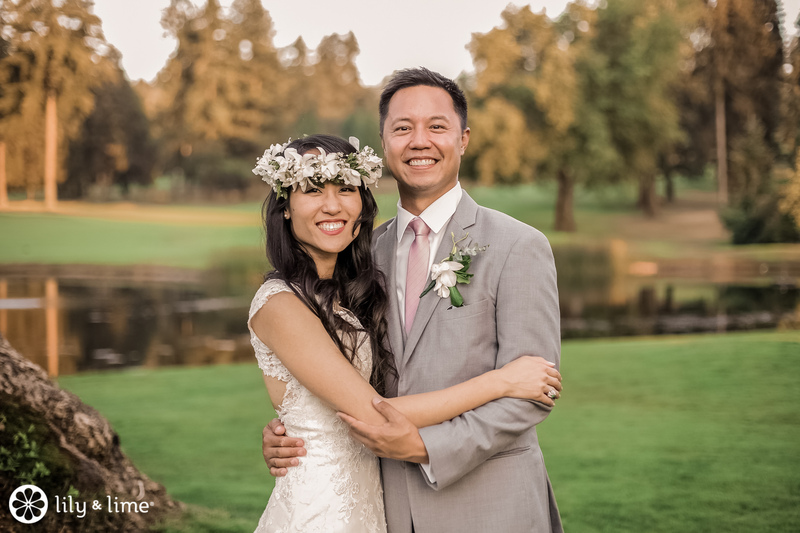 Their Seattle Wedding Photography session had the newlyweds nestled against the lush green plains of the Inglewood Golf Club. 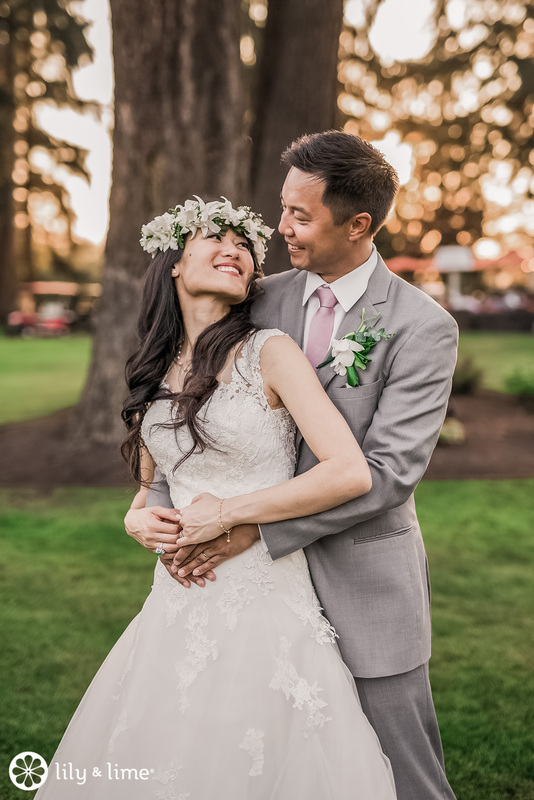 Their Seattle wedding photographer took perfect advantage of the club’s suburban structure and made use of the abundant lighting provided by the great outdoors. 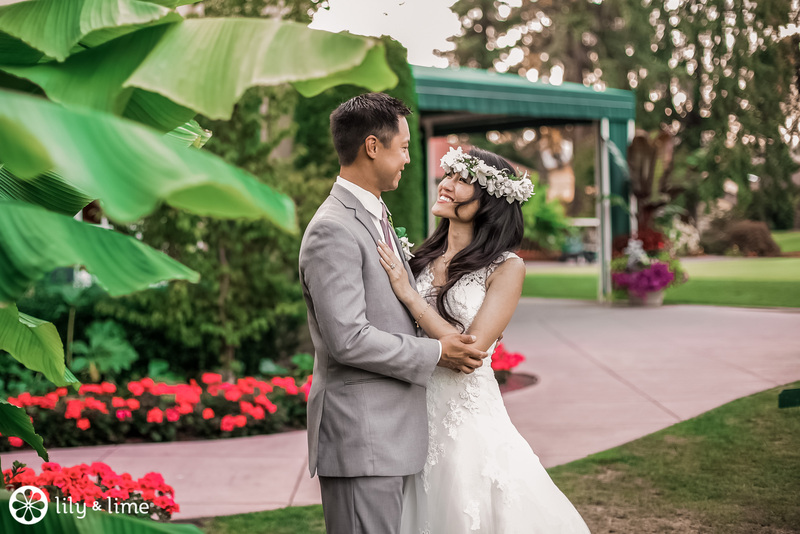 The bride chose a whimsical flower crown and loose waves in her hair for their wedding photography. 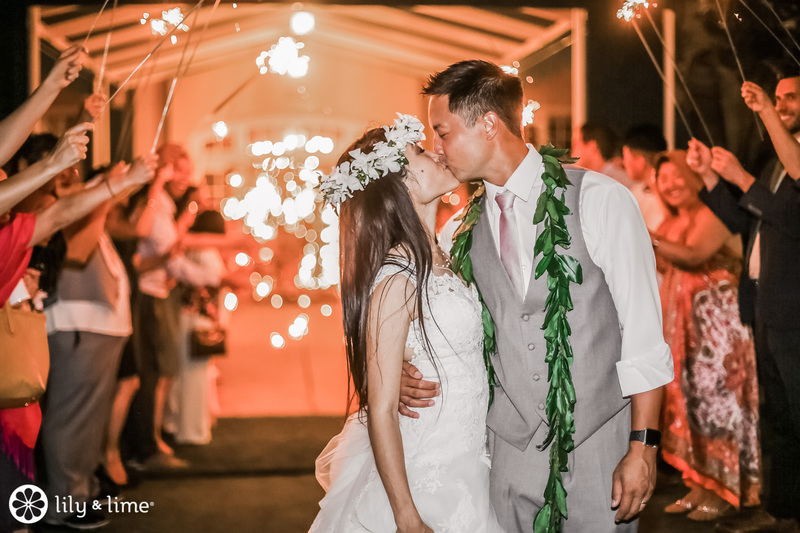 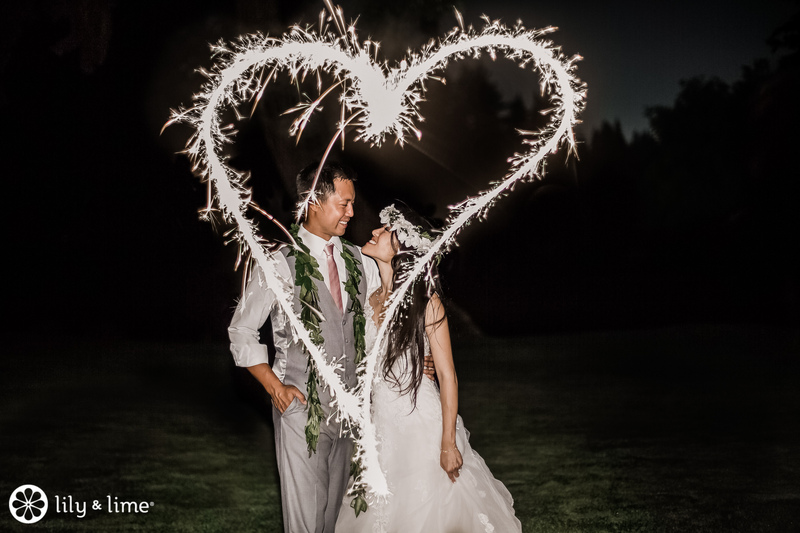 The photographer also captured the newlyweds under a canopy of heart-shaped sparklers at dusk and took advantage of a clear night to create the stunning lighting effect.